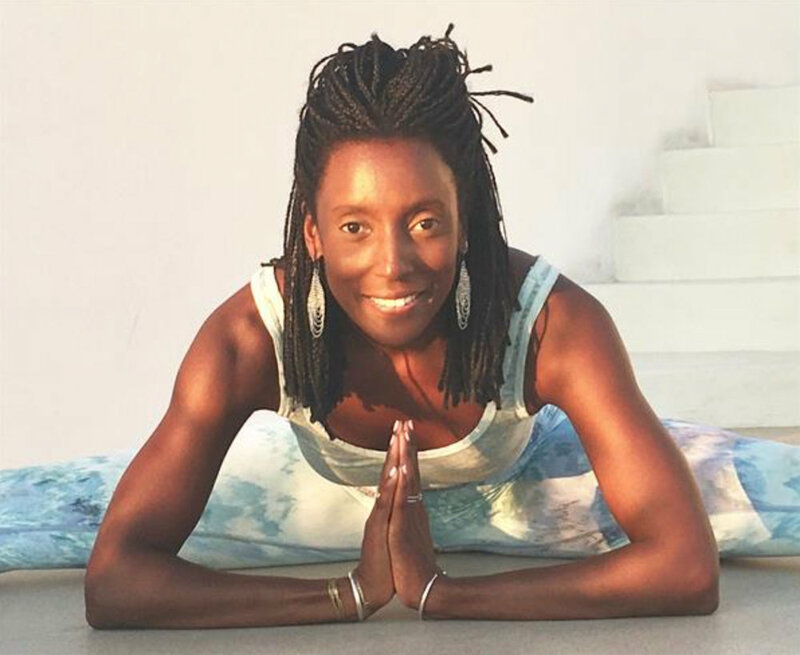 Jamila Ekukpe came to California while serving in the Air Force and have been practicing yoga since. After graduating with a BA in Communication Studies, she enrolled in her first 200hr teacher training with Annie Carpenter and have continued studies Richard Rosen at You and the Mat. Her teachings derive from several traditions of yoga and an expanded study of Katonah yoga in NYC. As a teacher, Jamila helps students gain insight into poses with crisp demonstrations, clear instructions, and straightforward corrections. With the use of dynamic and static postures linked with fluid transitions, her classes aim to strengthen the body the mind. After serving in the military she used yoga as her foundation to heal herself from a back injury and transition back to civilian life. She practices and teaches the asanas with a deep conviction that the potential to coexist in today’s world starts with the ability to reconcile with ourselves and surroundings on a physical, mental and emotional level. She paces her sequences in a special way provide a mixture of performance and therapeutic asanas weaving asanas and alignment into a thoughtful, conscious forward vinyasa class. Jamila currently teaches yoga, workshops and meditation classes around the city where she aims to share these ancient practices that significantly improve the success, adaptability, and prosperity of modern life.